Guillermina López-Bendito undertook her PhD in 2000 under the supervision of Dr. Alfonso Fairén and Rafael Luján at the Institute of Neuroscience, in Alicante (Spain). Then, She worked on the role and precise cellular and subcellular localization of neurotransmitter receptors during pre and postnatal development of the cerebral cortex. Subsequently took up a postdoctoral training in the laboratory of Prof. Zoltán Molnar in the Department of Human Anatomy & Genetics at Oxford University (UK) from 2001-2004. She became interested in the mechanisms involved in the guidance of one of the major axonal tracts in the forebrain, the thalamocortical (TC) projection. She used in vitro culture assays as well as different in vivo tracing studies in a number of mutant mice to study the interaction between TC axons and cerebral cortex. In 2004, she joined the Institute of Neuroscience in Alicante with a Ramón y Cajal semi-independent junior position. Since 2007, she is a full Assistant Professor from the CSIC and a group leader at the Developmental Neurobiology Unit at the same Institute. Her group aims to understand the cellular and molecular mechanisms involved in the guidance of the main axonal tracts of the CNS in mammals. In particular, they are interested in elucidating how one of the most complex axon guidance systems in the mammalian forebrain, the thalamocortical projection, develops. 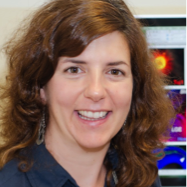 Dr. López-Bendito got an ERC StG in 2009 and is an EMBO YIP since 2012.